Sanchez has struggled to convince since arriving from Premier League rivals Arsenal in January last year, while former boss Jose Mourinho repeatedly called on United's hierarchy to spend more in the quest for success. Caretaker manager Solskjaer, however, wants United to focus on buying players that fit the Manchester club. "It is not about 'x' amount of players," said Solskjaer ahead of Saturday's trip to Fulham. "It has to be the right one and one who fits. The personality has to fit with the team. "It is not just buy a superstar and that will fix things and suddenly we go from challenging to being top four and be champions. "If you look at the players, the age of them, they're young and they've got plenty of development in them. But we also need some experienced players to stay and step up and really become the leaders. "Paul [Pogba] now is, Jesse – they're at that age where we expect them to take that responsibility and not just be a young boy that floats around." 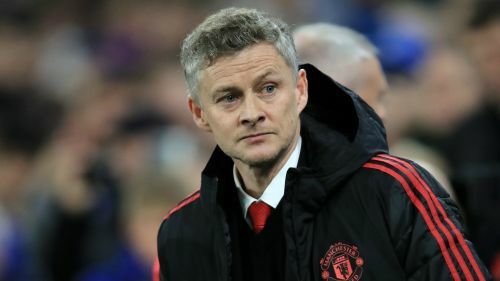 Solskjaer's team are 14 points behind high-flying Manchester City and Liverpool after 25 games, but there is a growing belief that United can challenge next season. "We have to move slowly because we are fifth at the moment," he said. "We've been sixth for so long and it seemed we were never going to move away from that sixth position. "There are six very, very good teams and all with challenge for the trophies, but we've got the resources and the infrastructure and the history to move towards the top and that is the only way we should think about things at Man United. "I think we're too far behind this year, obviously. But you've got to catch up the other teams ahead of us, especially City, Liverpool, but now Tottenham. They're really in the running as well. "So obviously it's three teams who have been far ahead. We've beaten Tottenham so we know that we’re capable of that but we need the consistency. "Two years' time is long enough, but also short enough, to say that we've got the possibility to make a big difference in our preparation, in everything. Next year - you always hope, of course. When I came into Molde, they were 11th in 2010, and in 2011 we won the league, so you can never say never."